Rogue One: A Star Wars Story (also known as Rogue One) is a 2016 film directed by Gareth Edwards. It was produced by Kathleen Kennedy, Allison Shearmur and Simon Emanuel. The screenplay was co-written by Chris Weitz and Tony Gilroy based on the story by John Knoll and Gary Whitta. The characters were created by George Lucas. 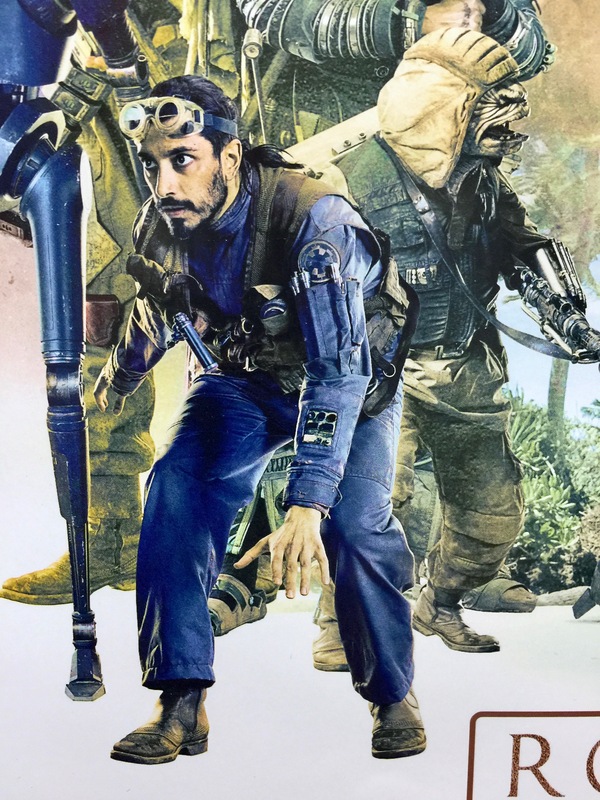 The film stars Felicity Jones, Diego Luna, Ben Mendelsohn, Donnie Yen, Mads Mikkelsen, Alan Tudyk, Jiang Wen and Forest Whitaker. Rogue One is the 8th film to be produced in the Star Wars series and is the 1st instalment of the Star Wars Anthology Series. It is a standalone film which is set immediately before Star Wars: A New Hope. 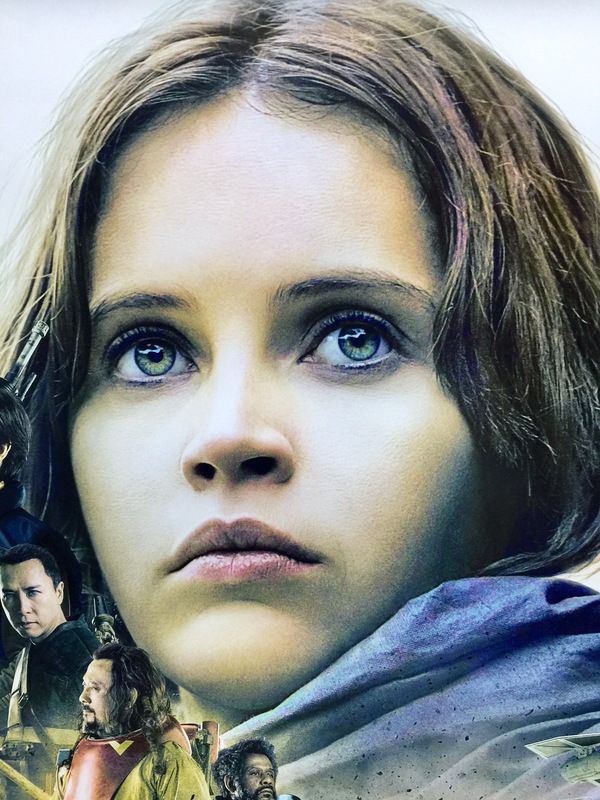 The film follows Jyn Erso, a young renegade woman who is detained by the Empire for her crimes until she is freed by the Rebels. She used many aliases during her life to avoid detention such as Lianna Hallik, Tanith Pontha, and Kestrel Dawn, while her father affectionately called her “Stardust”. She joins her rescuers, a group from the Rebel Alliance on a risky mission to steal the plans for the Death Star, the Galactic Empire’s super weapon, setting up the epic saga to follow. 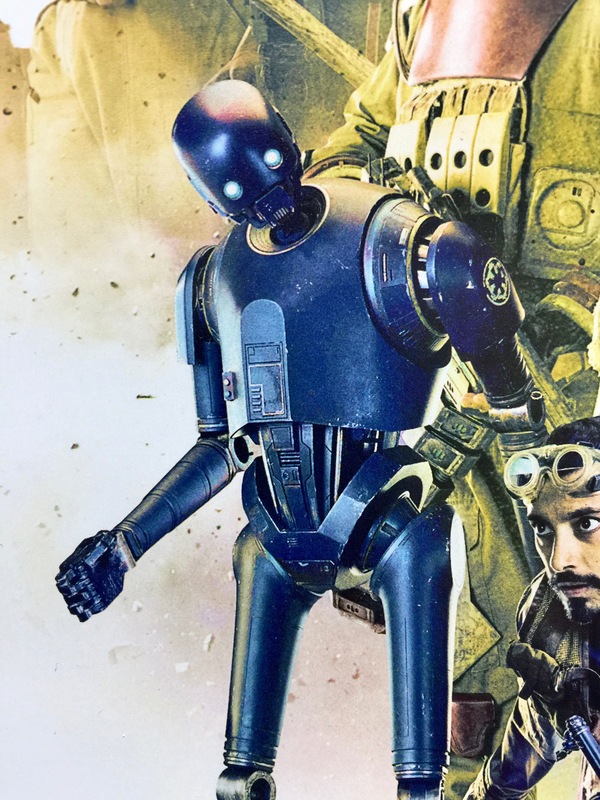 The film is based on an idea from John Knoll which was first pitched 10 years before entering development. At the time he worked as a visual effects supervisor for the Star Wars prequel trilogy. However, it wasn’t until the acquisition of Lucasfilms by Disney that he pitched the idea again. 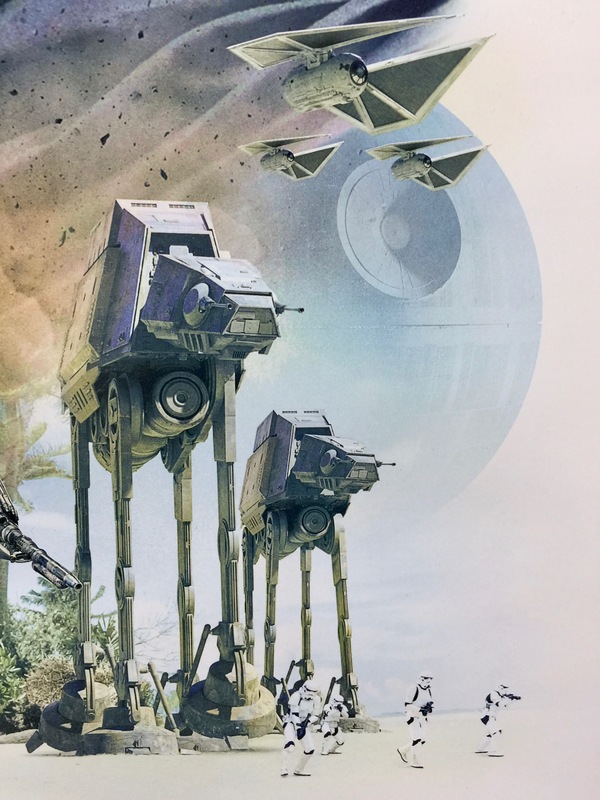 Rogue One was produced in a different style and tone from other Star Wars films previously which included omitting the traditional Star Wars style opening credits. Gareth Edwards said that the style of the film would be similar to that of a war film, “It’s the reality of war. Good guys are bad. Bad guys are good. It’s complicated, layered; a very rich scenario in which to set a movie”. 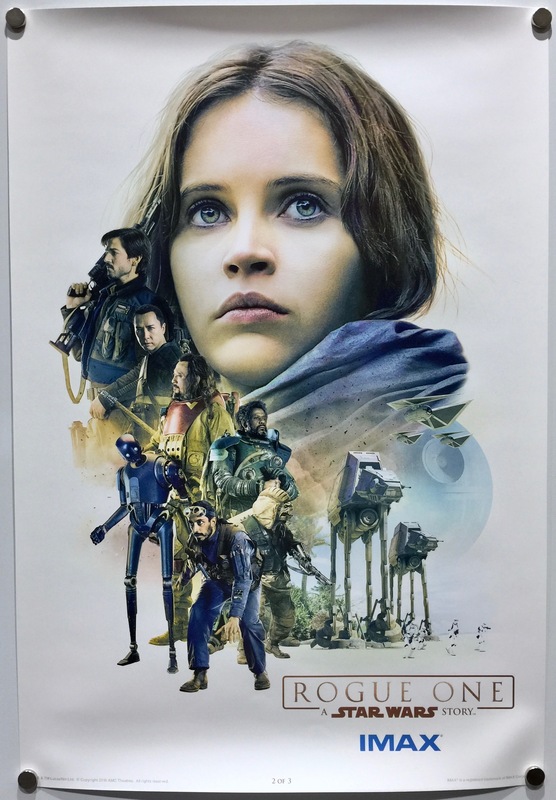 Filming for Rogue One was completed at Elstree Studios, Borehamwood in Hertfordshire. Locations in and around Pinewood Studios, Buckinghamshire were also used with huge sets being erected to complement scenes filmed elsewhere in the world. All filming was completed using Ultra Panavision 70 lenses with Arri Alexa 65 large format digital 6K cameras. Other locations used for filming included Reynisfjara, Iceland and around the mountains of Hjörleifshöfði and Hafursey at Mýrdalssandur, Iceland which was used to represent Lah’mu and Eadu. The RAF bases at Bovingdon, United Kingdom were used to represent Scarif and RAF Cardington was used for scenes set on Yavin 4. 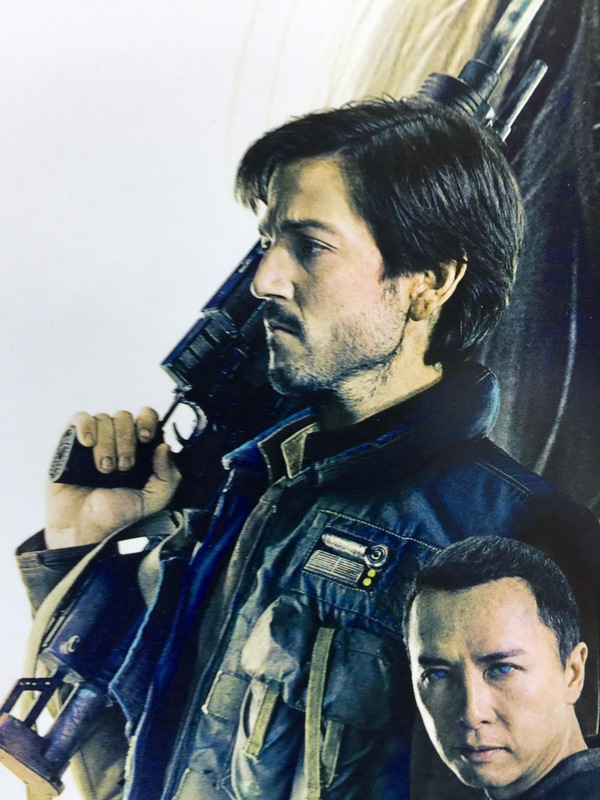 Gareth Edwards selected Canary Wharf underground station as a location for a chase scene in an Imperial base; the filming took place between midnight and 4 am when the station was closed to the public. 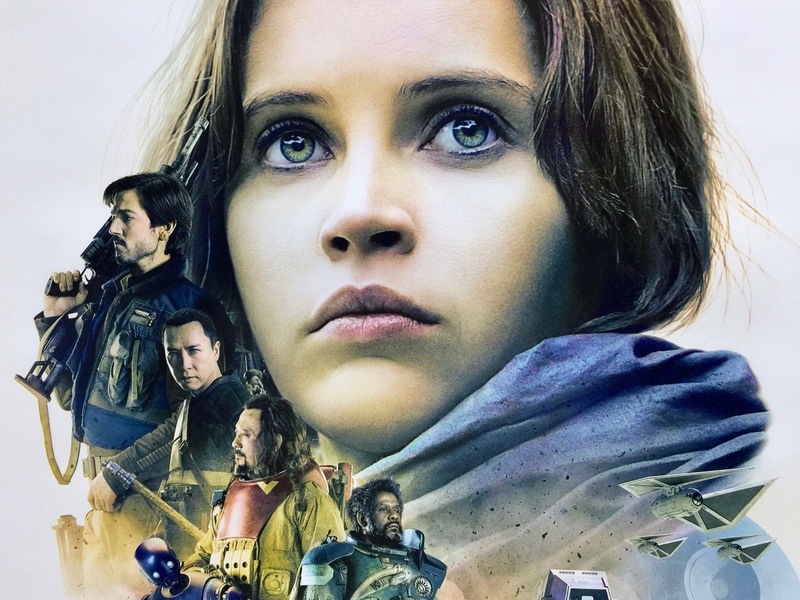 When Rogue One: A Star Wars Story was released it positive reviews from the critics. 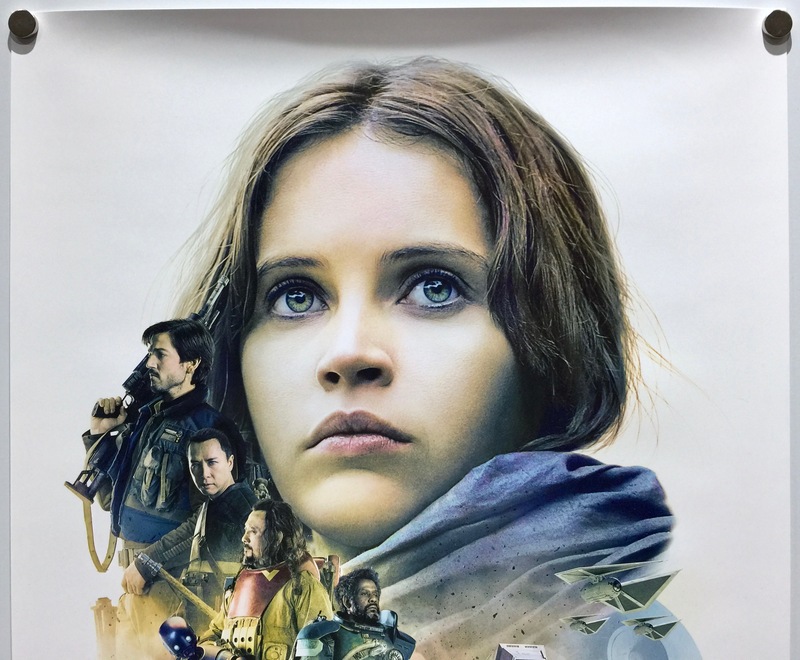 On Rotten Tomatoes it holds a 85% rating with the consensus “ Rogue One draws deep on Star Wars mythology while breaking new narrative and aesthetic ground — and suggesting a bright blockbuster future for the franchise”. 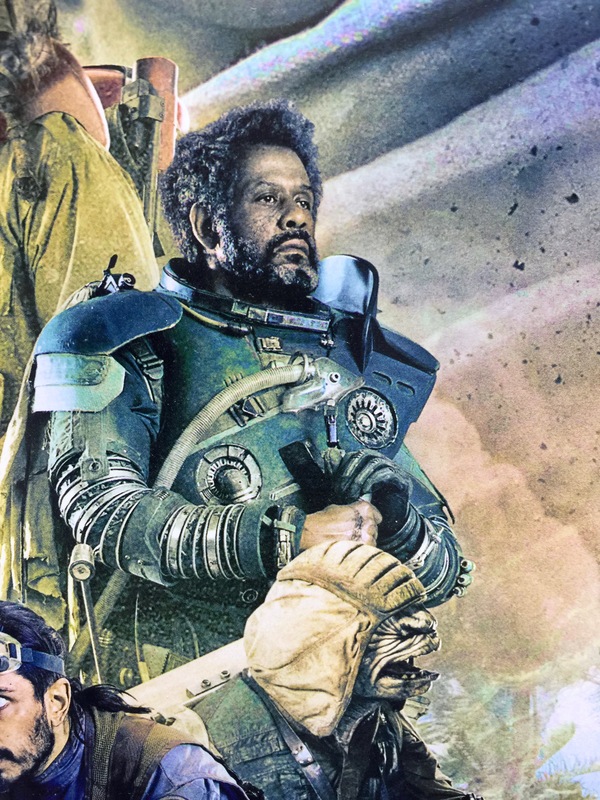 Rogue One: A Star Wars Story was praised for its acting, action sequences, musical score and darker tone, although some criticism was directed at the characterisation and the film’s use of computer-generated imagery to recreate the likenesses of some actors. 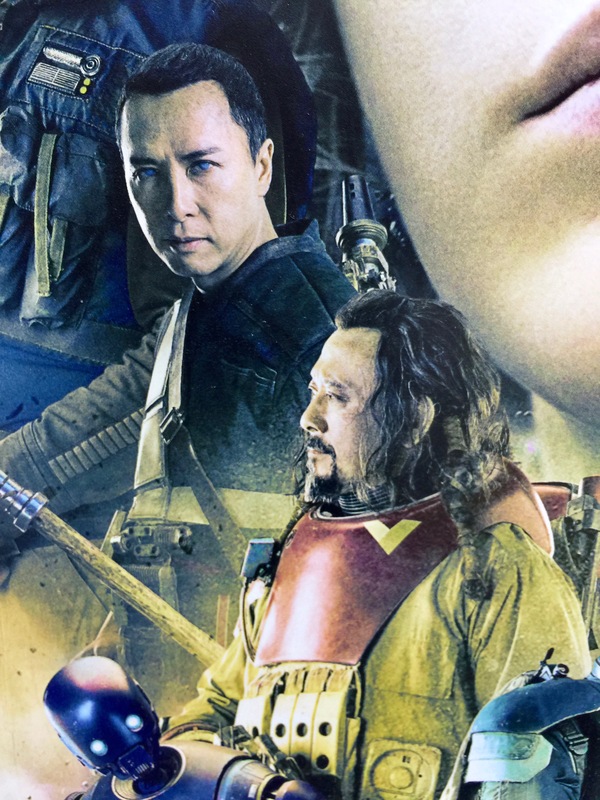 Rogue One introduced many new characters into the Star Wars mythology, but most critics and general audiences have pointed out that Chirrut Îmwe, played by actor Donnie Yen, and K-2SO, played by Alan Tudyk, were the highlights and stole the movie. Donnie Yen’s performance, in particular, was also applauded by audiences worldwide. It received two Academy Awards nominations for Best Sound Mixing and Best Visual Effects. 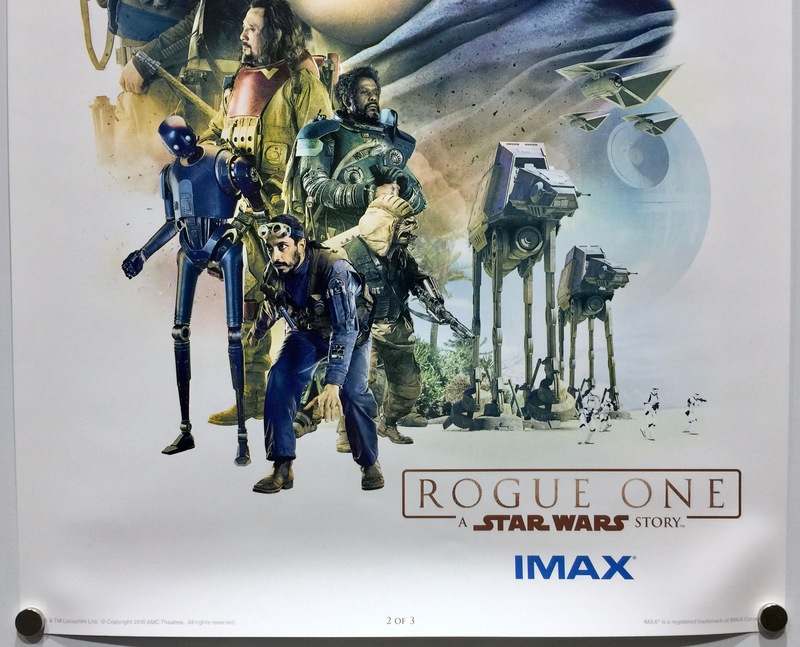 Commercially, Rogue One: A Star Wars Story was a huge box office success. Produced on an estimated production budget of $200m, it took $155,081,681 in the US on its opening weekend. It went on to take $1,055,957,159 in total worldwide box office receipts. This made it the second highest grossing film of 2016 and 20th overall.